After garnering a good response from the audience, the makers of “A Mero Hajur 3” which features Anmol KC and Suhana Thapa in the lead, have released a brand new song of the film which is titled “Cheat Day”. “Cheat Day” is a fun track featuring Suhana and background dancers in it. The number is a foot-tapping one and we bet you won’t be able to take your eyes off Suhana. We love her outfits in the entire song and her expressions. The song is crooned by Prabisha Adhikari. The lyrics of the song is penned and composed by Pratik Poudel. 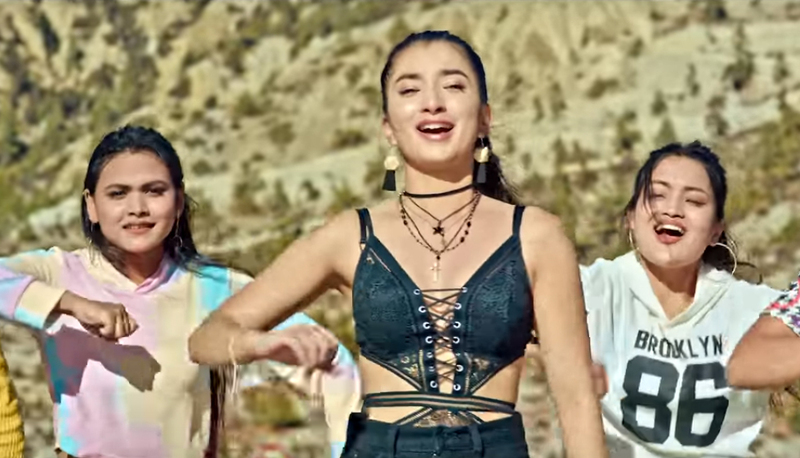 The trailer and earlier released songs have been gaining popularity all over. Helmed by “A Mero Hajur 3” marks the debut of Suhana Thapa and is slated to release on Chaitra 29/April 12.